When I reflect on my years as a classroom teacher, I think about my students as individual learners. I spent a lot of time reflecting about teaching and learning this summer. It became clear to me that 2 types of readers have passed through my life. 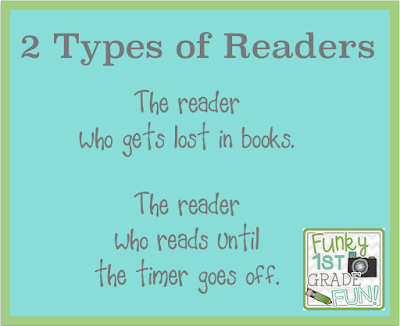 The 2 types include those who get lost in books and those who read until the timer goes off. In fact, the two different types of readers are represented in my own house as well. My daughter read over 100 books in 6th grade last year. Big books. She has her nose in a book while she walks around the house. I frequently find her reading under the covers with a flashlight long after her bedtime. 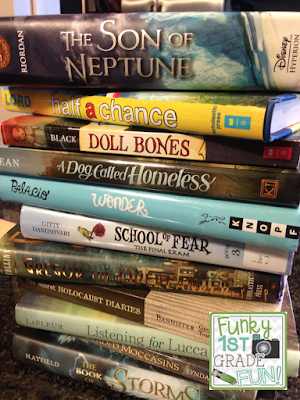 She has stacks and stacks of books waiting to be read in her room and frequently runs out of things to read. 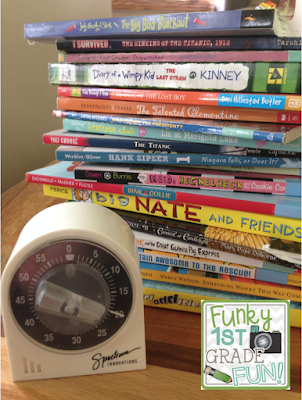 My 9 year old son is a good reader, but he reads approximately 25 - 30 pages a day with a timer in his hand. When the timer goes off, he happily drops the book. He won't pick up another book until I remind him about what research says about summer lag the next day. This summer, I'm collaborating with some of our 5th and 6th grade teachers and our Instructional Support Team to re-read The Book Whisperer by Donalyn Miller. I have read this book six times and each time it leaves me reflecting on different ways to reach our young readers. The first step for me (although I'll admit that it is painful) is accepting the fact that not all readers are born with a natural love for books. The second step as a teacher (and a mom) is to let what we know about the reader and the books they choose "whisper" (as Donalyn Miller says) to us so we can support them as readers. The third step is to never give up hope. I'm hopeful that my son will soon fall in love with a series or genre so much so that he no longer feels the need to read for only 20 or 30 minutes. Until then, I'll keep modeling a love for reading. I'll keep exposing him to different authors, genres and series. Most importantly, I'll let the choices he makes whisper to me so I can support him even if it is for only 25 - 30 pages a day (for now). Thanks for visiting my blog! I agree, it is so important to appreciate the reading we get from each learner. I loved reading this post. I have struggled with this so much in my classroom. 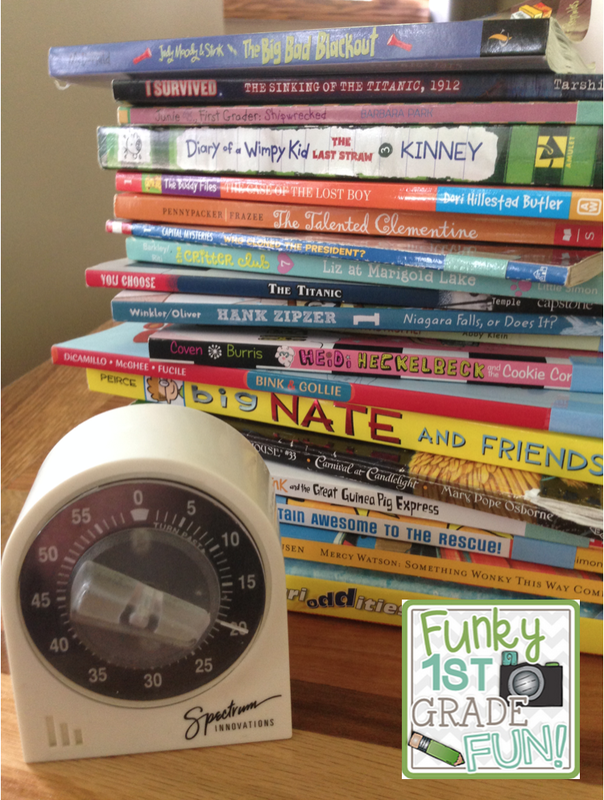 I TRY TRY TRY to find a way to help those kids who read until the timer rings. And I keep telling myself that every reader is unique and will find their way. Thanks for letting me know about The Book Whisperer, checking it out now. Sounds like I need to read this book! Waiting for children to find it out on their own how fun reading is can be hard. I love what you said about modeling a love for reading. That is one thing we can do every day in our classrooms. Thanks for the sharing this post. You're welcome! Thank you for visiting my blog. 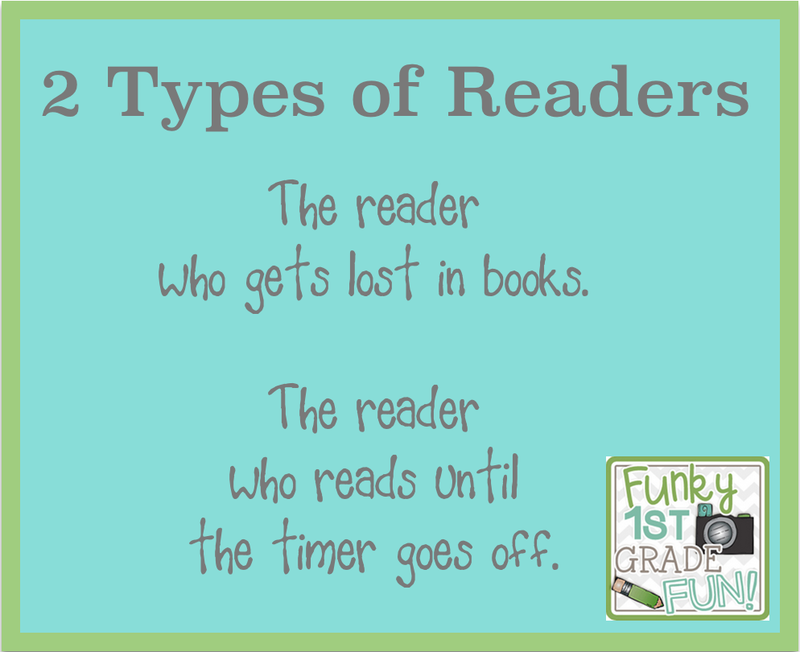 A person can be the both types of reader. I don't know about the other type. I just know mine.